When I was in high school, I worked at an outdoor store. It was owned by a lady in her 30s who had worked there herself. She bought it from an older couple who wanted to move on with their lives and sell the business. She didn't have any formal education in owning a company but she had one thing that was a necessity-passion. Her name was Kristin and she's one of the best bosses I've ever had-probably the best actually. When you worked for Kristin, you were family. 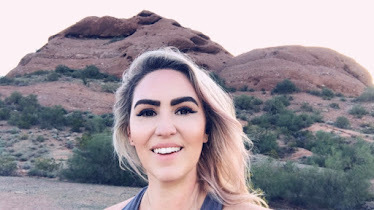 You were asked about how your day was, how you were doing in school, what you wanted to do in life, what you planned to study in college...she cared about her employees, her customers, and the products she sold. It's not all that often you find someone like that. It's become commonplace that business owners think it's acceptable to make business anything but personal. There are still people out there, artisans and small business owners alike that refuse to stop caring. Dave Piper, his son, and his friend Robin are three of those people. You may not have heard of them before but they're famous in their own right. They're one of the very last cobblers of sorts-I don't know if you can be defined as a cobbler if you just make sandals, so sandalmaker will have to do. Dave Piper is the owner and founder of The Piper Sandal Company. I saw his sandals at an art show here in Atlanta a few years ago and have regretted not buying a pair for the past three years. I could have bought them online but I chose to wait and I'm so very glad I did. Since I fell in love with Pipers a few years ago, I've seen them on another popular blogger, A Well Traveled Woman. Another artisan, she seems to love his sandals too and you can see them in her pictures on her blog/Instagram. This year, Charley and I went back to Summerfest in the Virginia Highlands where we saw Dave's sandals for the first time. Back then, we were both pretty broke and $139 a pair was just too much for our budgets. Thank the lawd for a substantial and steady income these days-sandals are back on the menu! I had the pleasure of finally meeting Dave this year and interviewing him for this blog post while Charley and I both got fitted for a pair of his sick shoes. He started his business back in 1971 in his garage where he still works crafting these shoes, now with his son and friend, Robin. When he first started making these sandals, he was also working as a teacher. He told us a little bit about his teaching style and said it was a waste of time for a student to take a test for which they were unprepared and hadn't studied. He said he used to have his students convince him to let them take the test. It seems that it would make students work harder beforehand so that they could prove something to him and also be more confident in themselves. I thought that was pretty amazing and very forward thinking but that's kind of just Dave's style. He was the owner of one of the first 1500 websites ever out there. His first pair of sandals sold via the internet in the early 90s when hardly anybody really understood what the internet was. Ironically enough, he sold them to a German woman-guess her Birkenstocks weren't cutting it. When he first started, major materials providers wouldn't sell materials to him, typically only selling to other "major" manufacturers. At this point, he has become somewhat of a major manufacturer. He uses American-made Vibram rubber for the soles of his sandals and only the highest quality American leather. Each pair is hand-stitched. The sandals themselves have a continuous upper strap like another sandal company that shall remain nameless (cough frat daddy sandals cough). This continuous straps allows for each pair of sandals to be custom fit. The bottoms of the sandals are made of dense foam and leather that quickly molds to your feet. The trio of shoemakers limit themselves to about 14 pairs of sandals a day, maintaining a work/life balance and integrity of a good product. The only pieces of the shoe that come from a different country are the metal buckle and the grommet that attaches it to the shoe. I can honestly say that they're one of the most comfortable sandals I've ever worn and they're pretty stylish. They come in a variety of colors and styles and can be worn with dresses, shorts, jeans, you name it. They're amazing quality and I've known several people to have them for years without any real signs of wear. Feel free to check out the website and order from there. Orders usually take 4-6 weeks to fulfill but they're well worth the wait. 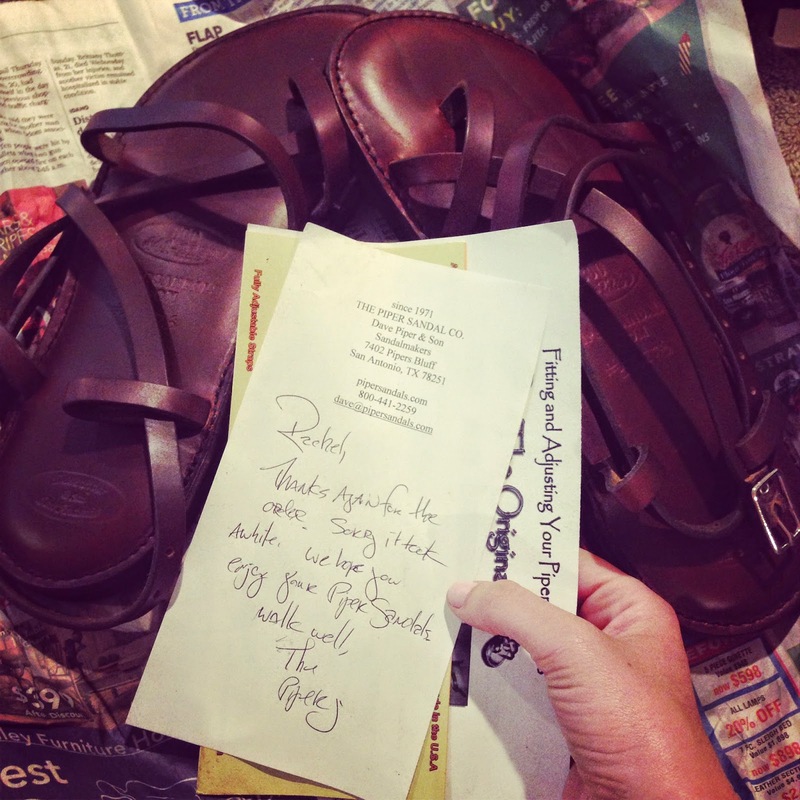 Dave includes a handwritten note with each pair that says thank you for your business. After meeting him, I know he truly means it. I think there's something to be said about someone who even through tough times and a rough economy can stand behind their product and maintain their integrity and positive attitude. I miss buying from PEOPLE. I would urge you to learn more about what you buy and where it comes from-it's more important than you think. Thanks for the great conversation and the uber comfy shoes, Dave.